Gotta see the monster dance! Maybe in a swan dress a la Bjork, wreaking havoc with every pas de DON'T! 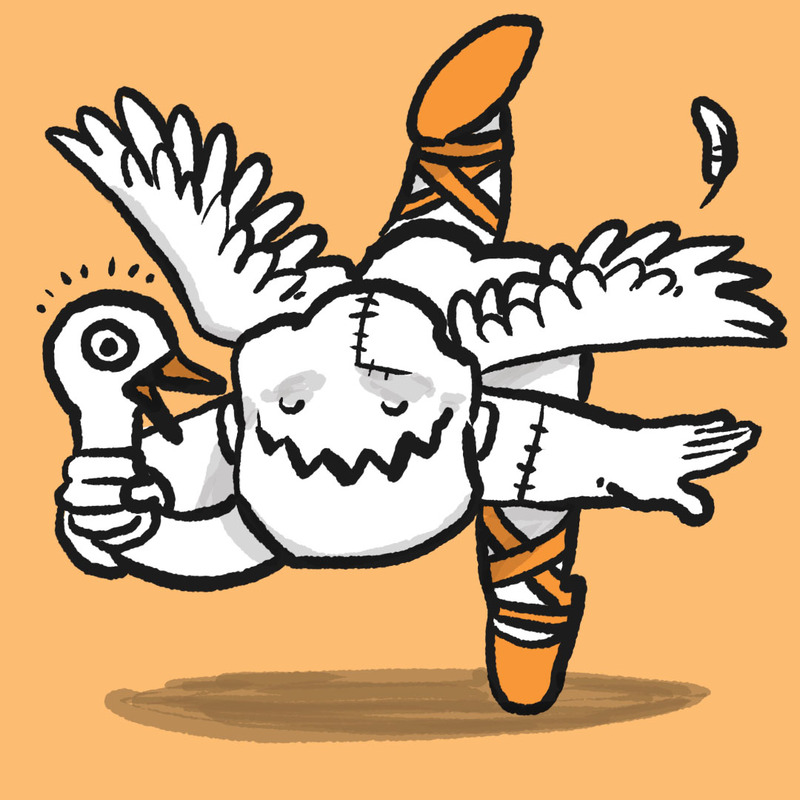 Frankenstein, in Tchaik-OW!-ski's Swan LOOK OUT! Hee hee. Thank you, commenter Cat. You are today's winner! Round 3: What do you want on your Frankenstein? I want to see him riding a unicorn on a rainbow. Frankenstein at a zombie prom -- in the library. In honor of Pioneer Day, I'd like to see Frankenstein as Brigham Young, saying "This is the place!" I want to see him running from cheerleaders. I want to see him as a one man band. Reading Big Bad Ironclad right now! Love it! Waltzing with a rose between his teeth.